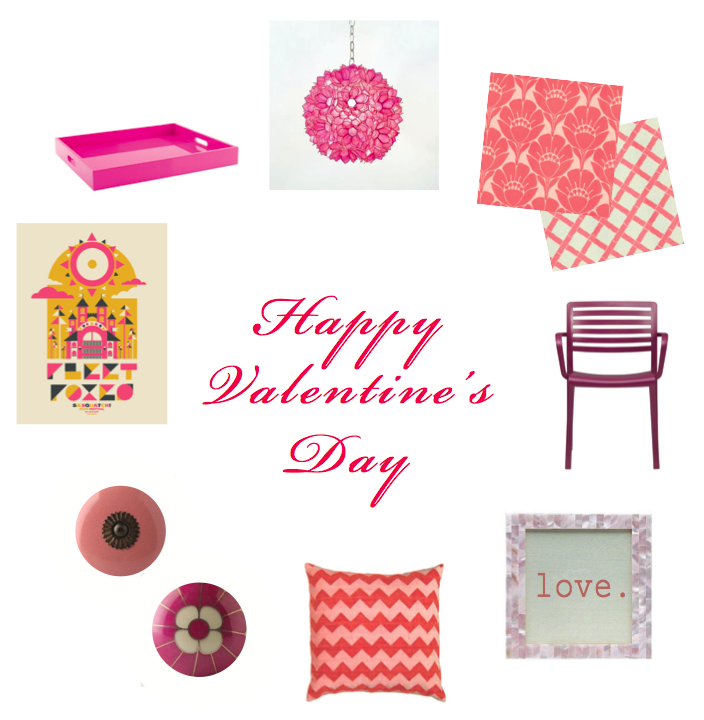 Color Friday…err, Monday…is: Pink for Valentine’s Day! PINK. It’s the color of love, 13-year old girls’ bedrooms, and the iconic shade of Valentine’s Day. It’s hard to disassociate pink from its frilly and feminine connotations, but it’s easy to incorporate small shots of sophisticated pink into your home if you know how to vary the shade. Above are three variations of pink that range from subtle and soft to juvenile and shocking to understated and almost masculine (ok, well, masculine for a “pink”). See below how pink plays a different role in each space. On the left it’s young and distinctly girly. In the center it’s updated, still youthful, but a little more edgy. On the right it’s a shot of androgynous color that is just as much part of the 80s hip-hop aesthetic as it is Barbie’s Dream House (I love this one). Pink comes in all styles: Left image via Metropolitan Home; Center image via Katy Elliott, Right image source unknown. Pink pairs well with red, gray, brown, black, white, and tons of other colors depending on the shade and hue. The pieces below will help fill out a room devoted to pink or add some spice to a neutral space. My favorite item is the concert poster; it’s an urban and graphic work of art that brings pink to the forefront without screaming “bubblegum.” Enjoy the images, and spend your day doing something you love or spending it with someone you care about — Happy Valentine’s Day! I saw this on a friends FB feed just today and thought of your blog post.